Chef Aniello always knew he wanted to create culinary masterpieces. When he was just 13 years old he was already learning his way around the kitchen of his parents’ restaurant, getting a taste for the passion that would define his life. When he was 24 he decided to see what the world had to offer his increasingly discerning palate and embarked on a journey to work in the Michelin-starred restaurants of masters such as Alain Ducasse. In London he met Chef Marco Calenzo (former Chef de Cuisine at Mio) who offered him a sous chef position at the famed one Michelin-starred Apsleys. 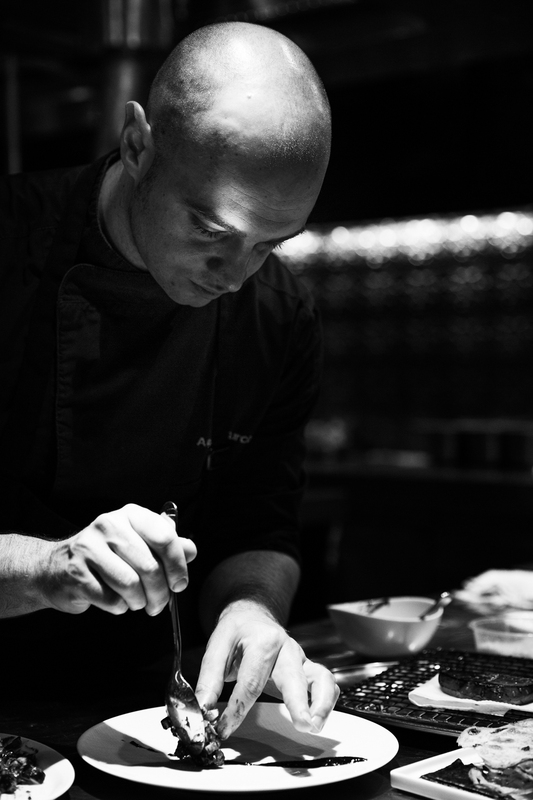 “After the experience in London, I wanted to be pushed more,” says Chef Aniello. “What I had accomplished by myself before was not enough. I decided to work in the best restaurant in the world.” He set his sights on Noma in Copenhagen. It was under the tutelage of the masters at the two Michelin-starred Noma that he turned his intense focus to learning all he could about fermentation and the natural transformation of food - a course of study which opened his eyes to a whole new world of culinary possibilities.